Created by Irna Phillips, The Right to Happiness was originally a spinoff for Guiding Light character Rose Kransky. The show premiered on NBC's Blue Network on Oct 16, 1939. However Rose seems to have kept her ties the Five Points suburb of Chicago, and the show soon began to revolve around the loves and trials of Carolyn Allen. Carolyn was the daughter of a magazine editor. 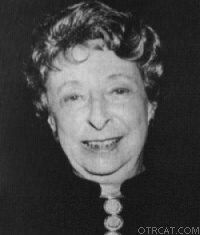 Irna Phillips, originator of the showThe show moved to New York when Phillips sold the program to an advertising agency. Her search for Happiness would take Carolyn through four husbands and a jail sentence. Carolyn had a companion through many years of the program; The Past was a character that reminded Carolyn of the tragedies and mistakes in her life. 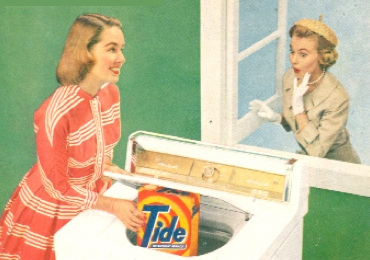 Proctor and Gamble remained as sponsor of the show through most of its 21 year run. The Right to Happiness was one of the shows cancelled on Nov 25, 1960, the day Radio Soap Opera died. This collection is also part of the Rare Soap Operas Collection. Be the first to comment on "Right to Happiness"